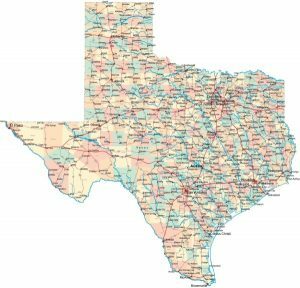 There’s a saying that “everything is bigger in Texas,” and it generally holds true, from the size of the trucks we drive to the size of the pests that lurk in our homes. So it’s no wonder that when you see an insect that looks like a giant mosquito with long, spindly legs, your first reaction would be to assume it’s a Texas-sized mosquito. After all, these pests seem to be just as annoying as their smaller counterpart, constantly invading your space and making it impossible to relax when they are around. 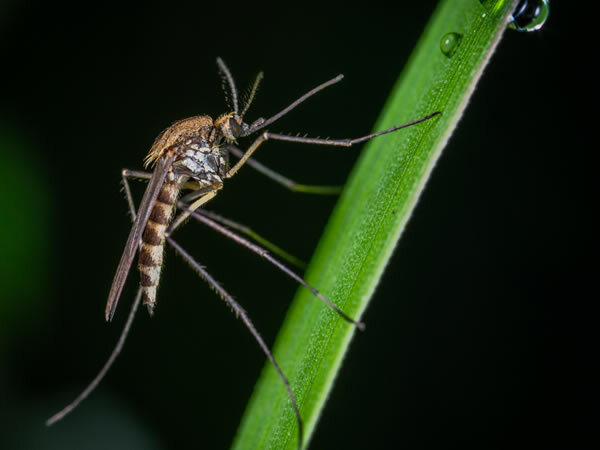 But if you pay attention to these ungainly insects you would quickly realize that they don’t bite, and if you asked around about them you might hear them called “mosquito hawks,” a moniker that implies that the insect is indeed a predator of the hated mosquito. It may then seem tempting to endure the annoyance of these pests at your next outdoor event if it meant a reduction in the mosquito population. Unfortunately, as you would quickly find out, this nickname is little more than wishful thinking, as adult crane flies are not predators (of mosquitoes or anything else). This doesn’t mean, however, that crane flies can’t make themselves into a stress-inducing nuisance, especially in the late winter and early spring when the adults are most active. Picture this: it’s a beautiful March evening, the air has just the right amount of crispness to it as you come home from work and walk up to your front door where you are greeted by several large, awkward insects flying lazily in your path. You’re familiar enough with them to know that they won’t hurt you, so you breeze past them and into your home, not even realizing that you brought several crane flies in alongside you. The sun is beginning to set so you get right to work starting to cook dinner; you’re keeping it simple tonight: spaghetti and meatballs. As the water for the pasta begins to warm up you notice an insect clumsily hovering around the kitchen floor. You roll your eyes and continue dinner prep. A few minutes later, that same insect is now eye-level and heading straight for the light above your stove. You flick it away with the wave of your wrist and grab the pasta to throw it into the water, sighing under your breath as you hear the crane fly make a light clinking sound as it bumps its way along the stove hood. Now that the pasta is in the water you turn your attention to the insect just in time to see it hit the stove light bulb and come crashing down into your simmering spaghetti sauce, its long legs sinking down slowly into what was supposed to be dinner. With a huff, you toss the bug-laden sauce and begin again. As you slide the new pot of sauce onto the burner you catch another crane fly invading your kitchen space. After a moment, you out-maneuver the bug and catch it, releasing it a moment later out your sliding door. Then, just as you turn back to your food, you watch, horror-struck, as another crane fly bounces its way to the stove light and falls, this time into the boiling water with its nearly-cooked pasta. And, as if in spite, as you stare down at the bubbling water which has now fully consumed the insect, another one flies into the wall next to you, grazing your cheek on its way and making you jump. This propels you into action, hunting down each crane fly that managed to find its way indoors. When the house is finally free from these pests you head back to the kitchen and for the third time tonight, you begin dinner prep, all the while on high alert for any sign of flying pests. A little while later, after food has been served and enjoyed, you hear a soft clink and see yet another crane fly bumbling around; with the evening’s stress pouring over you smash the insect and grumble that you are calling pest control in the morning before you go insane. But what exactly are crane flies and what can you do to keep them from adding unnecessary stress to your life? What do crane flies look like? Crane flies are a large fly with a narrow body about one inch long, six spindly legs which can be twice the length of the body, and two long, slender wings; overall, they look like a large mosquito on stilts. They are generally black, red, or yellow depending on the species. Adult crane flies are completely harmless; in fact, many species don’t eat anything at all as adults, and the species that do feed rely solely on nectar for their meals. When are crane flies active? You are most likely to see active adult crane flies in Texas in late winter and early spring, just before mosquito season hits. Large populations are likely to emerge around a particularly wet winter/spring. Should I be concerned if I see a lot of crane flies? Fortunately, the crane flies most often found in Texas are not one of the species known for damaging turfgrass larvae. Unfortunately, that doesn’t make the adult crane flies buzzing and bouncing around your home any less troublesome to your peace of mind. It is no small feat to fall asleep, cook a meal, or just relax with these large insects disrupting the sanctuary of your home. What can I do to prevent crane flies? 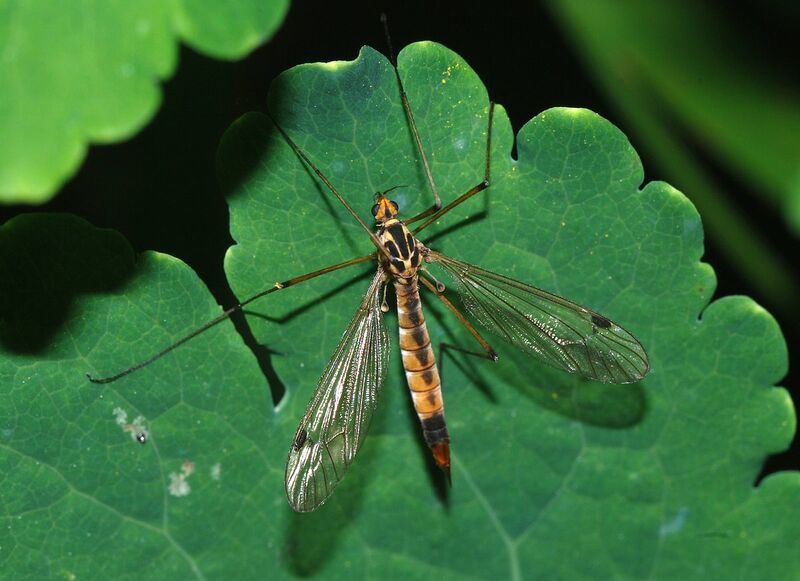 The best thing to do to prevent a crane fly issue is to keep good care of your lawn by practicing good irrigation habits, including not over-watering, and to remove any excess debris in your yard; this will make your yard less hospitable for crane fly larvae. How can I get rid of crane flies? 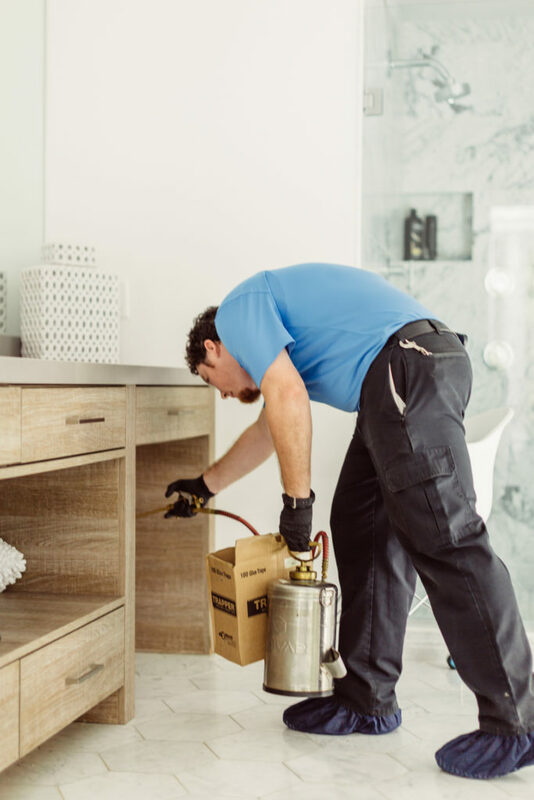 If you are being inundated with these oversized insects, don’t prolong the headache and suffering, call to get a pest control technician out to your home to help you create and enact a plan to eliminate the pests. Come from a bug in the night. A fate no one should meet. Is the one from your pair. If a Kissing Bug infestation is suspected, contact a pest control company to evaluate the situation and treat accordingly. The pest control products needed to deter and kill Kissing Bugs should only be applied by a licensed pest control technician; baits, such as roach motels, are not effective against Kissing Bugs. Caulk around opening for plumbing, cables, utility lines, etc. 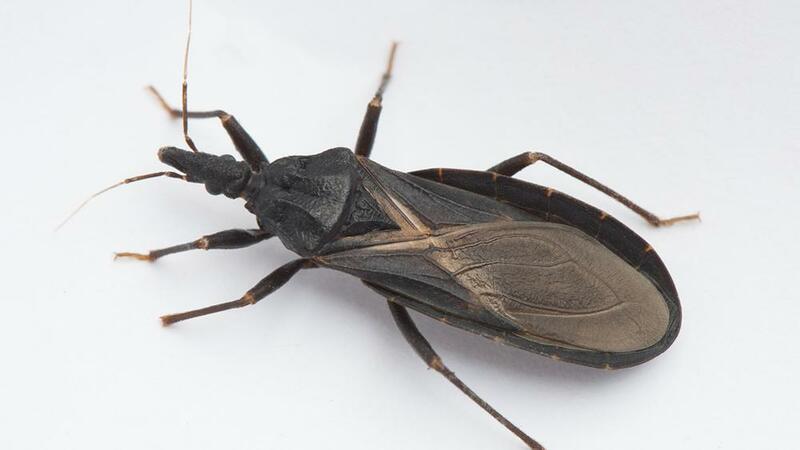 Don’t let the innocent-sounding moniker fool you, Kissing Bugs are not a pest to be taken lightly. 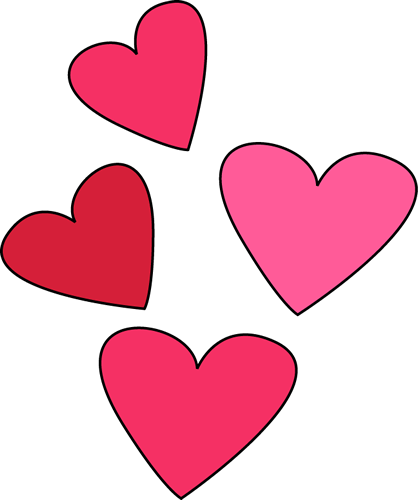 With the high potential for spreading a dangerous disease, these pests have a “kiss” you will want to invest in avoiding this Valentine’s Day. Christmas has come and gone and we have officially moved into 2019. It’s time to start putting up decorations and preparing homes for cozy evenings spent indoors as long nights and winter weather settle into Texas. But don’t let the chill in the air trick you into thinking that bugs have all gone dormant. 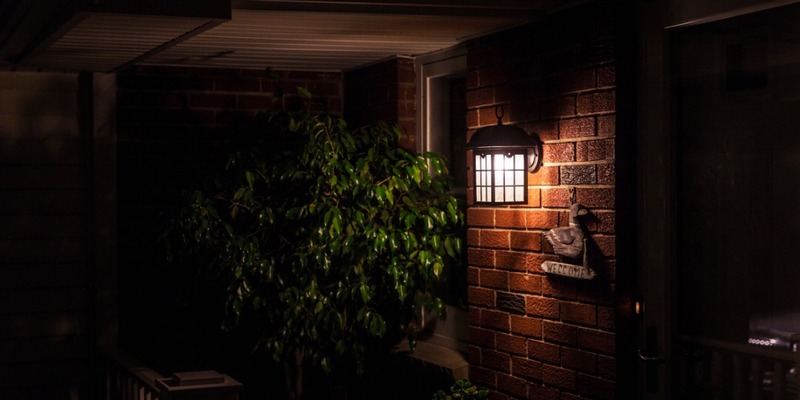 Though it’s true that many pests are inactive this month (in fact, now is the perfect time to protect your trees and shrubs from damaging pests that will resume activity in spring and summer; see our May Blog for more on this), there are plenty that can wreak havoc in your home on a peaceful winter night. 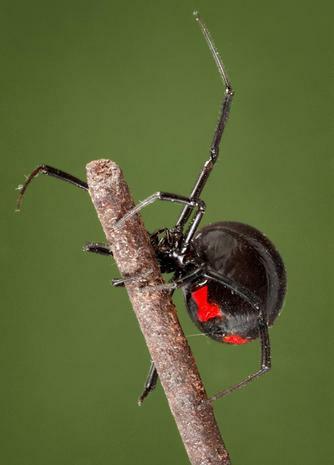 Perhaps the most plentiful of these pests are spiders. With over 900 different species of spiders in Texas, it’s safe to say that they are a pest you will regularly encounter. 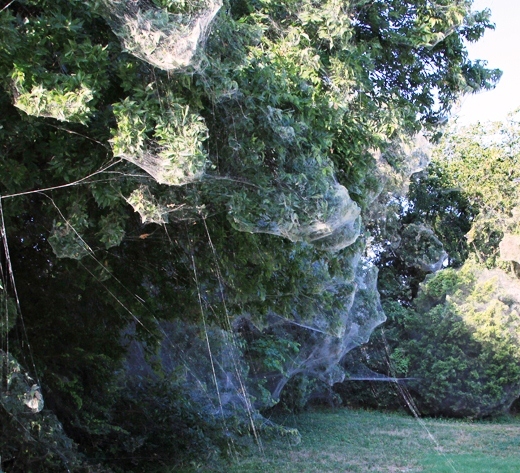 And though some species are simply nuisances, building webs in seldom used areas in our homes, some carry significant danger to anyone on the wrong side of their bite. 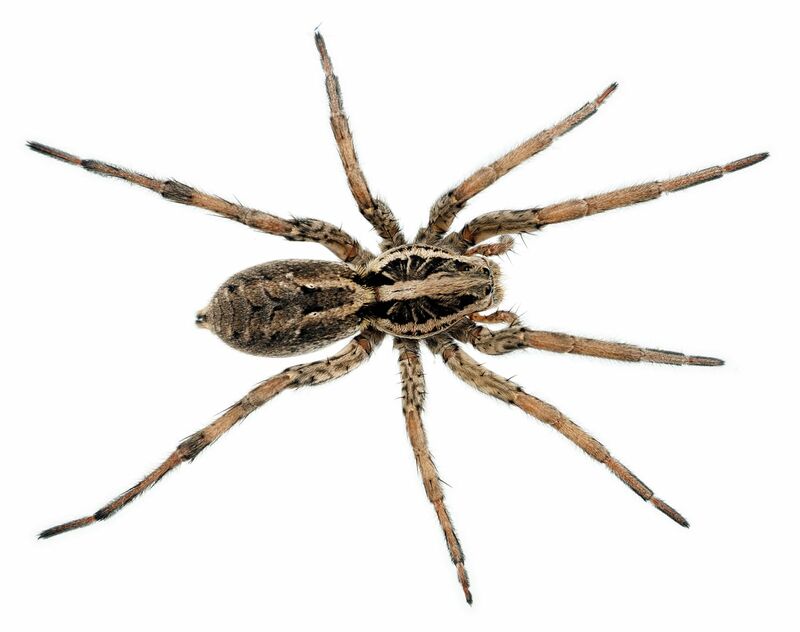 So as you venture into attics, crawlspaces, closets, and other out-of-the-way places in your home to put up your Christmas decorations, it’s important to be aware of the hidden danger spiders can pose and take steps to minimize the risk of starting off the new year with a trip to the doctor. 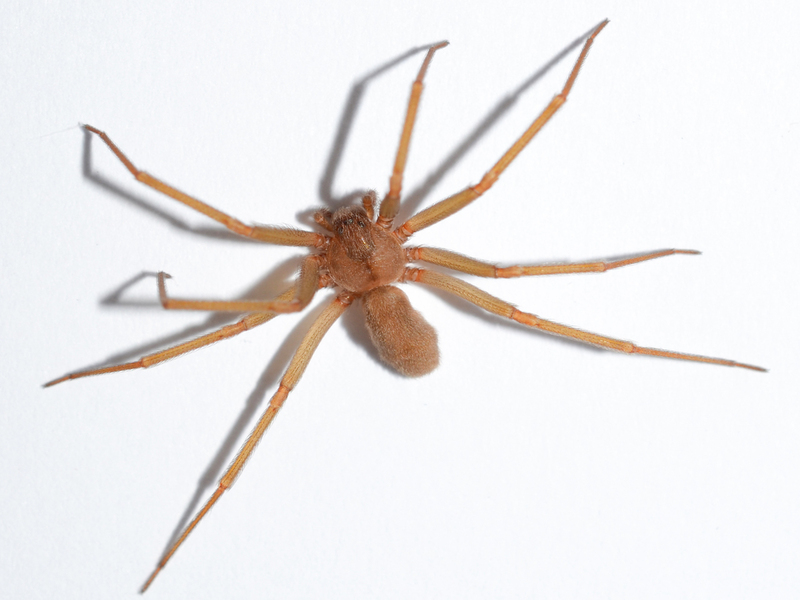 The three spiders that tend to garner the most attention in the Dallas-Fort Worth area are brown recluse spiders, black widow spiders, and wolf spiders. 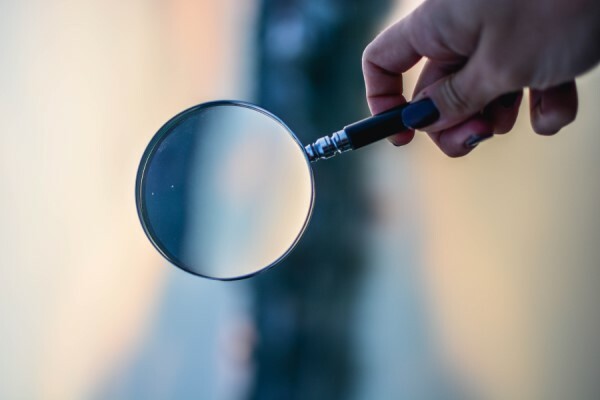 In order to best keep yourself safe from these lurking pests, it’s important to learn a bit more about them so you can spot the danger before you feel the bite. How to Avoid: shake out any shoes or gloves kept in storage areas before putting them on, and wear gloves when handling wood piles, mulch, etc. Habitat: generally found outdoors in open, grassy areas, or inside around doors, windows, and in garages, but they can be found anywhere there are insects to feed upon. Seal/caulk openings, cracks, gaps, etc. This year, as you wrap up Christmas celebrations and start in on your New Year’s resolutions, consider adding regular pest control to your list and keep yourself safe from lurking spiders. A nest built in my attic. And a nest built in my attic. Reproduction: 1 to 2 litters per year: 1 in Spring, 1 in Fall. 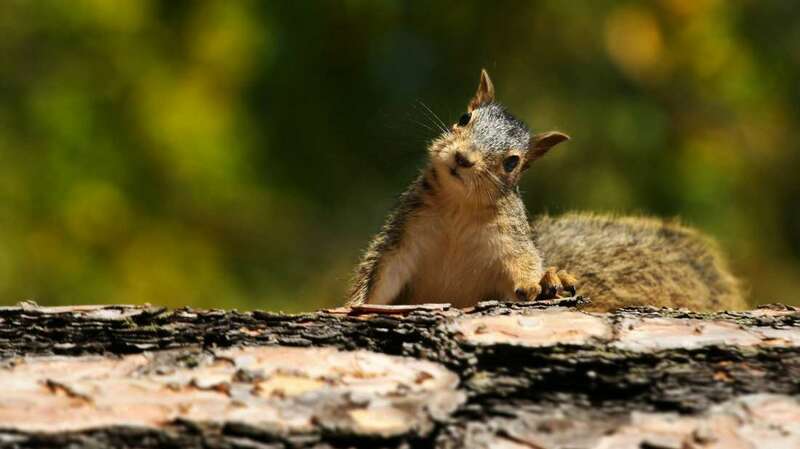 Once a squirrel has taken residence in your attic or chimney, the best thing to do is call in a professional to assess the situation and begin a live animal trapping wherein the squirrel can be safely caught and relocated. 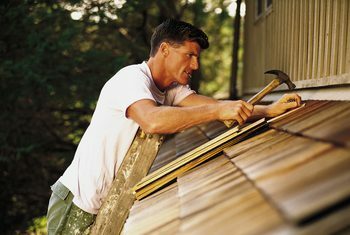 A technician can also access your home for any entry points the squirrel may have created by chewing through the siding, eaves, and soffit around your attic and go over your options for repair and prevention. Given the length of time of weaning for baby squirrels, it’s especially important to have a professional perform any trapping and exclusion work, so as not to separate the mother from the babies. 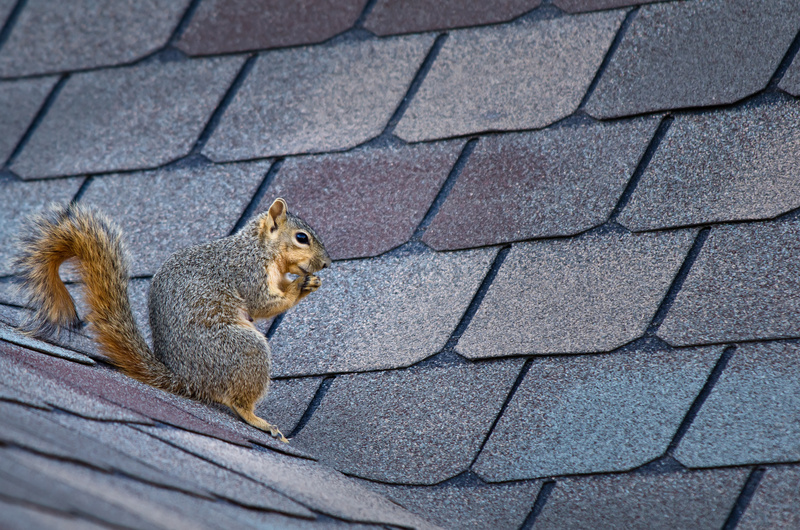 If you notice squirrel activity in your yard or hear them scampering on your roof, it’s a good idea to make sure you have taken appropriate measures to prevent them from getting into your chimney or attic and causing the need for extensive repair and clean up work. 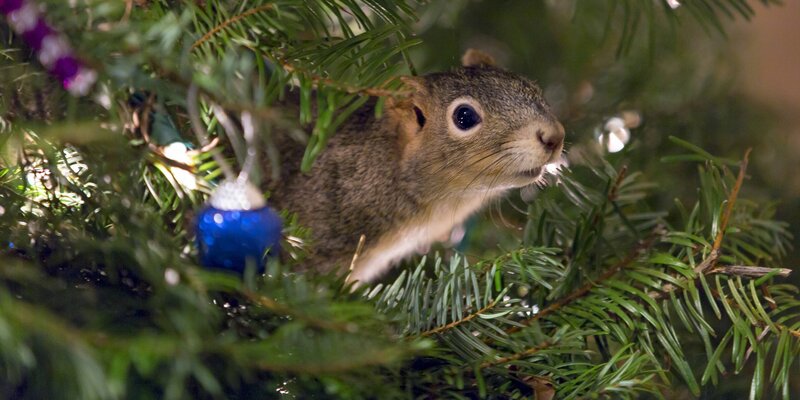 This winter, don’t let squirrels crash your Christmas party; as soon as you notice the signs of squirrel damage, call in a professional and let the only noises on your rooftop be from Santa and his reindeer and get back to making your celebrations merry and bright. A cold wind wails past your open window, rustling leaves and clattering blinds on its way down the dark, empty street. You feel a chill brush against your arms and try to rub it away as you head to close the window in hopes of keeping out the cold. As you approach you hear a loud crash and see a shadowy mass race through your yard. The wind, you notice, has suddenly ceased its howl and the street is completely silent. You lean against the screen, looking for the cause of the crash, but the dim light of a cloudy dusk and the solitary circle of amber provided by the lone streetlight keep most of the street in shadows. A rustling in the bushes directly below you causes you to jump back and quickly shut the window, bolting it tight against whatever is out prowling this night. With the window closed, the cold begins to dissipate from the room, but you can still feel the chill rippling your skin and crawling down your spine. Attributing the chill to the patio door still being open, you walk through the house toward the screen door that’s still letting in the evening air. Your fingers barely graze the handle before you get the feeling that something is just feet from you on the other side of the flimsy mesh. You slam the door closed and latch it before flicking on the light and illuminating your backyard where you barely glimpse what you swear is a small hand pulling away from your garden gate, which creaks gently on its hinges. Shaking your head, you convince yourself that you’re just tired, and head off to bed. As you lie under your warm blankets, you attempt to ignore the quiet scraping coming from somewhere above you. It’s not a restful sleep that greets you, as images of prowling shadows creep through your head, so it’s no surprise when you find yourself roused just before dawn. A quick glance at your phone tells you it’s not the culprit for your early wake up call and you are just about to attempt to lie back down when you hear it. A loud thump and some definite movement coming from right above you. You throw back the covers and jump out of bed, eyes glued to the ceiling. Nothing happens. Minutes pass and still nothing. Then, just as you are about to head to the kitchen for some much-needed coffee, another thump, this time closer to where you’re standing. Heart racing, you throw a coat on over your pajamas and grab a flashlight, hoping that the noise is something hitting your roof instead of what you truly fear. The tiny circle of light doesn’t make a dent against the grayness of the sky, but surely there is nothing on your roof big enough to make the kind of noise that woke you. As you make your way around to the back, you notice what look like dozens of tiny hand prints in the soft soil. The chill in your spine is back and you snug your coat tighter against you as you point the beam of light further into the darkness. Rounding your garage, you see that your trash can has been tipped over and one of the bags has been violently ripped open, strewing garbage across your driveway. As you maneuver through the refuse you curse at every jolting clunk and crinkle as your feet contact trash you hadn’t noticed as you keep your light pointed into the hazy distance. 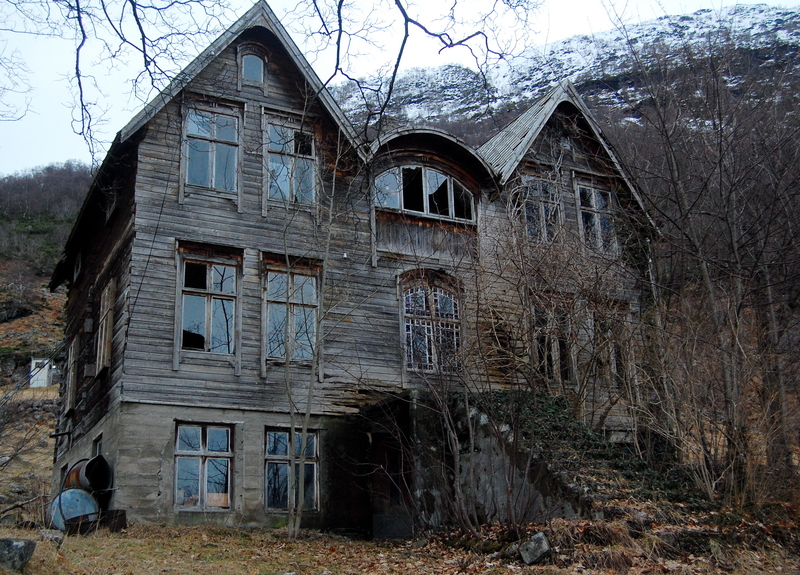 When you reach the back of the house, you hear the garden gate still creaking on its hinges. You give a glance over your shoulder as you feel a shiver pass through you and shine the light in great arcs across the yard. With nothing clearly in sight, you slowly approach the garden. More tiny handprints greet you, along with the sight of several pillaged and decapitated plants. You click the gate back into place just as you hear a rustling from somewhere above you. Whipping around, you shine the light against the roof and see a shadowy mass seemingly emerging from your roof. Your chest constricts and your breath catches in your throat as you watch the mass continue to grow. Just as you are about to turn and run, the mass scampers across the roof and down the side of the building. Once the shock wears off, you head in its direction, flashlight wavering, until you see it just beyond the periphery of light. Steadying yourself, you raise the light higher and finally get a good look at the creature: gray fur, small hands, and a distinct black mask around its eyes. The raccoon saunters away as you collect yourself before heading back inside to call your exterminator. Average Size: 2 to 3 feet long, weighing 7-23 lbs. Skills: highly dexterous and clever, they can open doors, jars, lids, latches, etc. They are also excellent climbers and swimmers. Leptospirosis – without treatment this bacteria can lead to kidney damage, meningitis, liver failure, respiratory distress, and death. If you think you have a raccoon living in or around your home it’s best to call in a pest control professional to assess the situation and create a plan to safely catch and remove the raccoon. 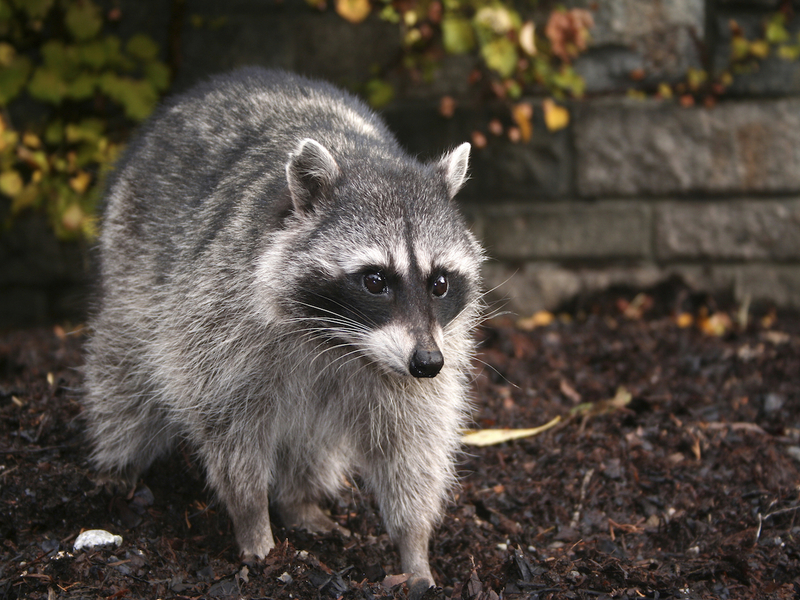 The technician will determine any points of entry that the raccoon may be exploiting to access your home and will place and regularly check a live animal trap to catch the raccoon before it can cause any further damage to your home. A technician may also be able to perform exclusion (repair/deterrent) work on any possible entry points, and can create a plan for the best time to do this work so as not to trap a raccoon inside your home. 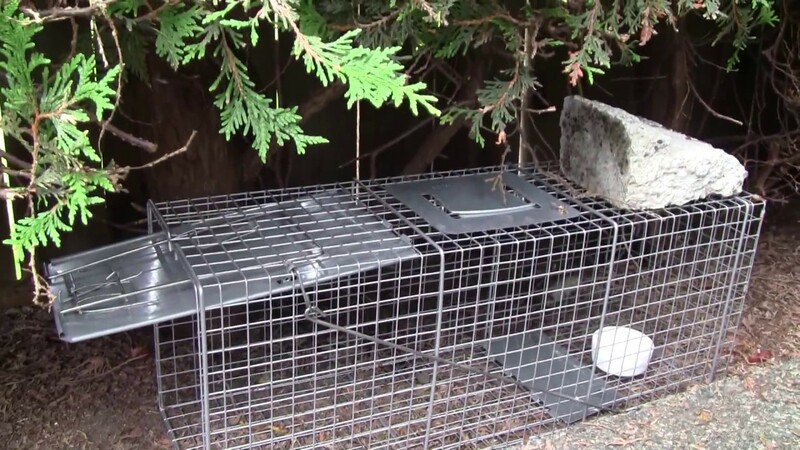 It’s best to leave raccoon trapping to a professional for three main reasons. First is safety; as noted above raccoon can carry several very dangerous organisms, and a technician is trained in proper handling of wildlife, making it significantly safer for them to interact with the raccoon than the average homeowner. Second is effectiveness; a technician has training and experience on the best baits, locations, and methods for wildlife removal. Third is humaneness; a technician will know to check for the possibility of raccoon kits and will take appropriate measures to ensure that the mother and babies are removed together. 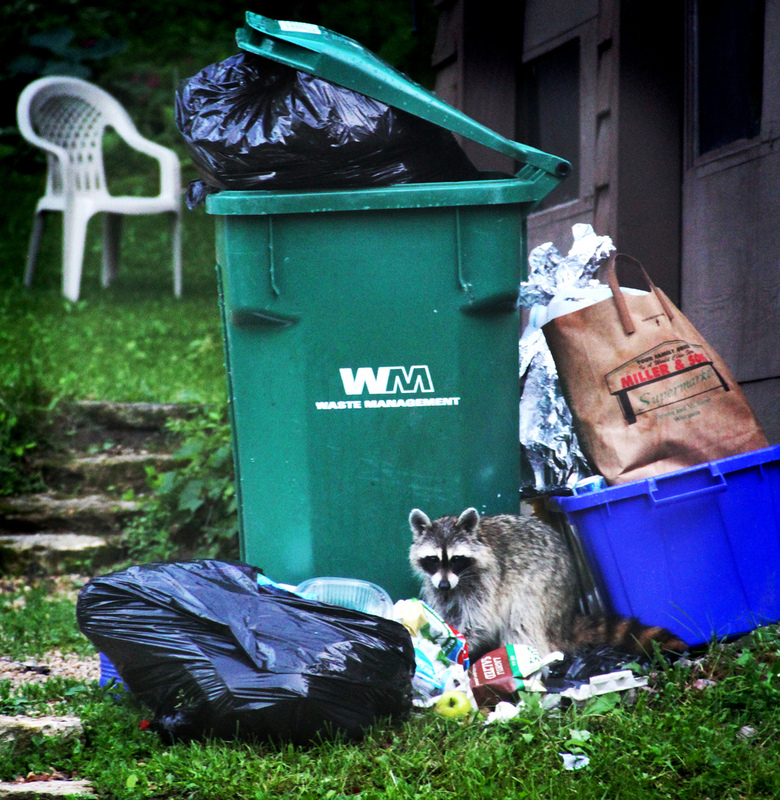 Whether you’ve already had a raccoon issue at your home or you just want to mitigate your chances of having one in the future, here are some tips to prevent these animals from invading your space. This fall as Halloween approaches, don’t let raccoons make your home into a haunted house; keep the scary stories and bumps in the night relegated to the realms of movies and campfires, and call a pest control technician as soon as you suspect you might have a problem. If you live in north Texas you have probably heard about the armyworm invasion that has blighted lawns all across the region. Troops of these unwanted pests have marched through yards of all shapes and sizes and brought with them a wave of swift destruction. 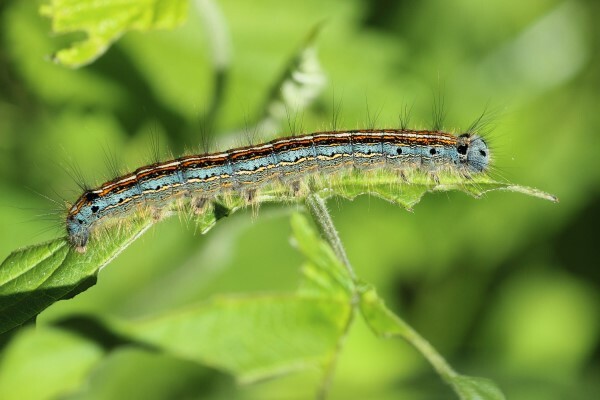 Though you have probably encountered the armyworm before, this September brought with it a conspicuous clash between battalions of the caterpillars and the homeowners and landowners desperate to save their property from pillage. But what exactly are armyworms and what do you need to know about them before preparing for battle? Armyworms are a type of moth with several species common to Texas, but when we speak of armyworms in general we are referring to fall armyworms whose larval stage is known for causing destruction to plants en masse. The larvae, caterpillars, can grow to about 1″ to 1.5″ long and are either green, brown or black with a few distinguishing markings. Those markings are: a dark head featuring a light inverted “Y”, longitudinal black stripes on each side of its body, a yellow-gray stripe along the middle of its back, and four black dots near the rear end. It’s in this caterpillar form that the fall armyworms are most easily identifiable and the most damaging. Where do armyworms come from? 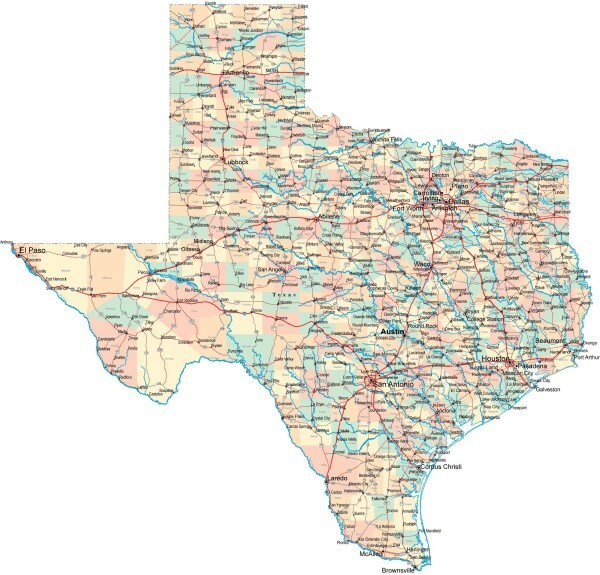 Armyworms are preferential pests of warmer climates, and will actually overwinter in southern Texas due to their sensitivity to cold and inability to endure it in any stage of their life-cycle. When weather conditions are favorable, and spring is heading into summer, the prolific armyworm moths will migrate north and lay their eggs at the base of suitable host plants (and sometimes even nearby structures like fences and light posts). One female moth can deposit up to 2000 eggs in clusters of 50 or more, but there’s not much point in searching for these eggs as they are incredibly small and very difficult to detect. In approximately a week these stealthy eggs will hatch into the larval stage, the caterpillars discussed above, which will lay siege to grasses and crops, growing ever larger as they feed over the next several weeks. They will attack an area en masse before moving together to a new feeding ground, in the process making it clear why these pests would have been named an “army”worm as their legions continue with their assault. Once they have eaten their fill, they will then pupate in the soil, emerging as adult moths approximately ten days later. And the cycle continues, with anywhere from three to six generations commonly produced each season. As summer draws to a close, they will head back to south Texas and wait for temperatures to rise again. As mentioned above, armyworms prefer warm weather, but even more so than that, they thrive on above-average rains in late summer and early fall, which ensure a high egg survival rate. The record amounts of rain received this September are the reason these pests have come out in droves and become a newsworthy topic as generation after generation march forth. 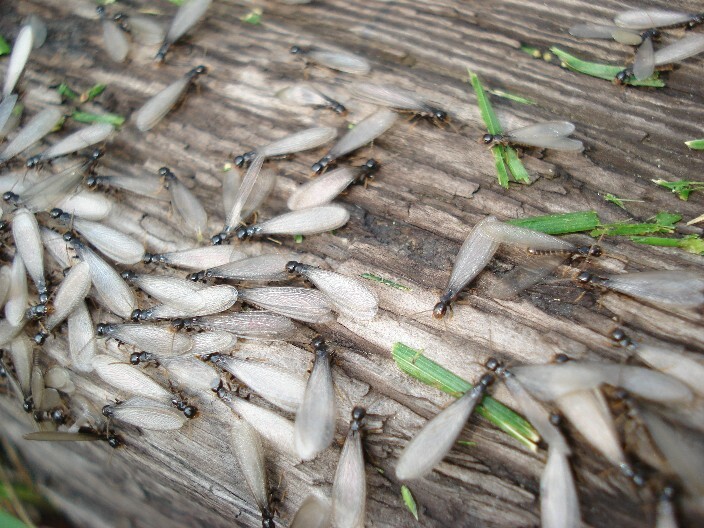 The fall onslaught is actually a pretty common occurrence, though rarely to the magnitude we are seeing this year, as several generations of the pests emerge quickly, unlike the more sporadic solitary outbreaks that happen in spring and summer. Stormy weather also benefits the fall armyworm moth, which is a strong flier, as the turbulent weather can help them evade their natural predators. So though there isn’t a predictable armyworm season, any time we have late summer and early fall storms there’s a good chance you’ll find an armyworm attack in the near future. Armyworms are not very picky eaters and will attack an array of plants. Some of the most common food sources are warm-season turfgrasses, grains, corn, sweet potato, beans, turnips, clover, tobacco, spinach, cucumber, potatoes, tomatoes, cabbage, and the list goes on. Their preferred mealtimes are early in the morning and late in the evening, but again they are not discriminate eaters and will feed any time of the day or night. What kind of damage do armyworms do? Though they aren’t overly preferential with their food sources, they do regularly feast upon turfgrass (like bermudagrass and bluegrass). 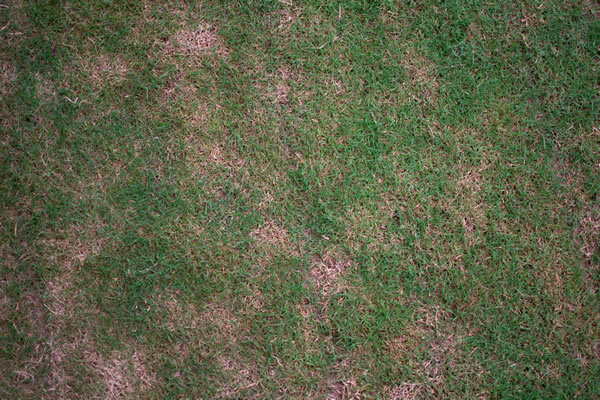 In fact, they are a major cause of damage to turfgrass in residential lawns, athletic fields and golf courses. The destruction they inflict is that of foliage consumption. The caterpillars will chew the green layer of blades of grass or leaves, starting at the tips, creating a transparent section in its wake, almost like a window pane. If you’re looking at the yard as a whole, instead of at a single blade, you would notice that the grass appears off-color or brown. 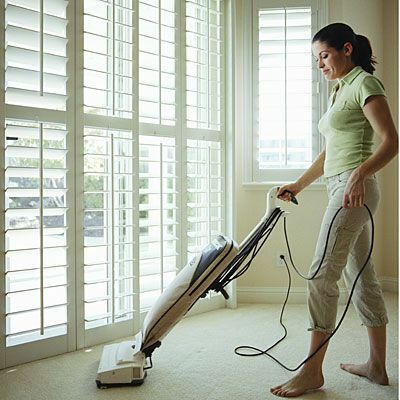 As the infestation progresses, the damage done will rapidly advance from small transparent sections to destruction of the entire blade or leaf. Once they have stripped the plants in an area, they will charge the next available food source. Since armyworms often produce very large larval populations, they are capable of causing significant widespread damage in a very short amount of time. Will armyworms kill my lawn? Generally speaking, even with the significant defoliation that armyworms will inflict, many turfgrasses, such as bermudagrass, are resilient enough to recover from the onslaught provided that they were healthy to begin with. You will, however, be faced with the aesthetic devastation of your lawn until the grass recovers. And there is no way to know for sure if your grass will recover; newly established grasses like ryegrass or fescue can most certainly be stunted or killed by armyworms. How do you control armyworms? The most important step in controlling armyworms is to keep a vigilant eye on the foliage in your yard, especially your lawn. Watch for discoloration of the grass and look for the caterpillars themselves, which will be easiest to find when they are most active in the early morning and late evening. Pay special attention to any area of lush plant growth as it’s a preferred place for the moths to lay their eggs. And remember that maintaining a healthy and manicured lawn will be especially helpful in the prevention of an armyworm invasion. 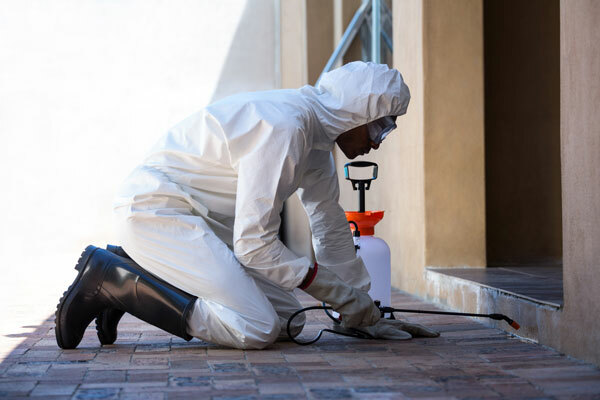 If you see a lot of the caterpillars or evidence of their attack, immediately call in a pest control professional to treat as quickly as possible to reduce the level of damage inflicted. Armyworms are not a pest to be trifled with, as their name would suggest. These pests are experts at attacking foliage and stripping blades of grass or leaves bare in record time. They seem to show up overnight in multitudes and can change the entire aesthetic of your yard before you even realize you’re facing a mighty foe. 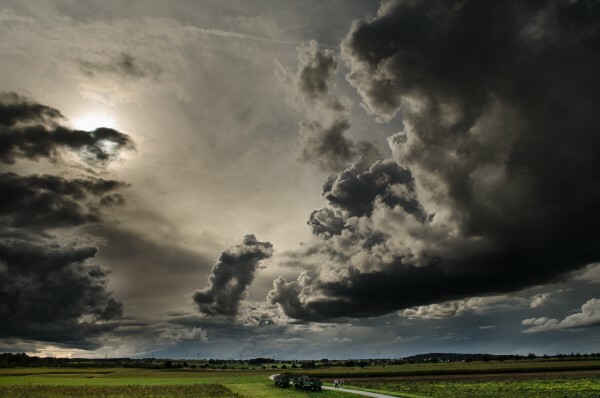 So when fall draws near and storms begin to pop up, keep your pest control company’s number close at hand to get help as soon as the invasion begins. There’s a New Longhorn Making News in the U.S. 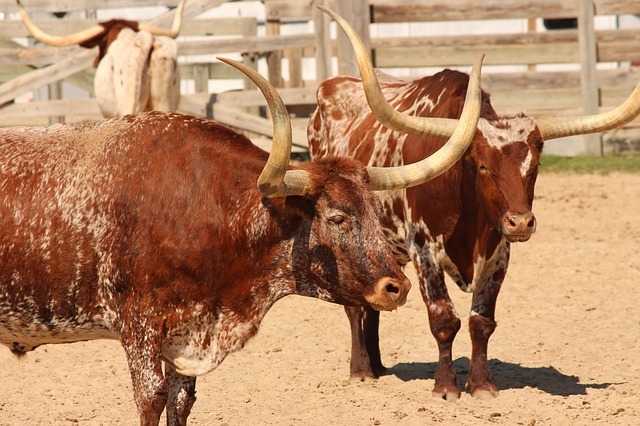 In Texas when you hear “longhorn” there are really only two things that come to mind: football and cattle. But there’s a new “longhorn” making news lately in the U.S., the Asian longhorn tick. This pest is native to East and Central Asia, but seems to be finding new footholds, first in New Zealand, Australia, and other Pacific locations, and now in the United States. With the recent discovery of a sizable colony infecting a sheep in New Jersey, the Asian longhorn tick has gotten national attention as a possible new invasive species (the extent and probable ramifications are still being determined). Though these new longhorn pests haven’t yet been documented in Texas, they are worth a look not only because of the potential for them to spread here as they get a foothold in the U.S. but also because it’s a good reminder of tick safety, which is something everyone should be thinking of as summer begins to wind down and camping trips become ever more common while time and weather allow. What do Asian longhorn ticks look like? These invasive pests are small, ranging from less than 0.1” (or smaller than a poppy seed) up to the size of a pea when an adult is fully engorged with blood. They are inornate and nondescript to the naked eye, with a light-to-dark red-brown coloring and without any markings or distinct coloration. Their mouth parts are shorter and wider than many other common tick species, though this distinction is more likely to be seen by an expert than by the average person. Juveniles are unfortunately small enough that they often go unnoticed, leading them to regularly be found in very high numbers when they are discovered. Ticks of all stages can be found feeding on the ears, back of the neck, shoulders, groin, and armpits. Because these ticks are so generic and resemble other native tick species in the United States, they are difficult to distinguish, even for professionals. Where are Asian longhorn ticks located? Regionally, they are native to East and Central Asia and are an established invasive species in Oceania. In the United States there have been documented sightings in New Jersey, Virgina, West Virginia, Maryland, North Carolina, New York, Pennsylvania, and Arkansas; these sightings have been verified back to at least 2013. 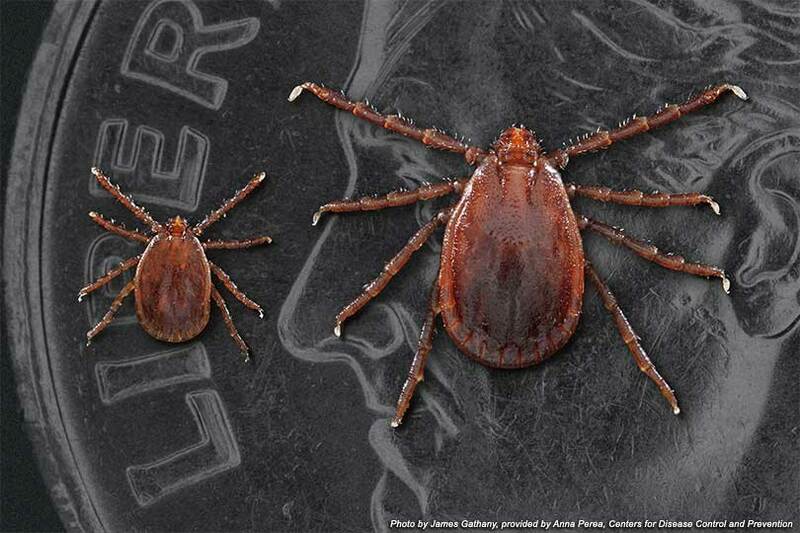 There is concern that they will spread further into the United States, especially since these ticks are capable of essentially hibernating so that they can survive in a wide range of climates. The preferred habitats for Asian longhorn ticks, like many other tick species, are areas of tall grass with high humidity levels near the soil. Examples of these conducive areas are: pastures, hay fields, wildflower areas, and other unmowed tracts. They are especially common in areas where animals are likely to traverse; the ticks will hold onto a blade of grass with their rear legs and keep their front legs aloft, using them to grab onto a host that passes by. Are Asian longhorn ticks common? In the United States, they are a very new arrival, so the number of documented cases is still quite small. However, when an Asian longhorn tick colony is discovered, it’s often an extremely dense population. They are able to create such excessive numbers due to the fact that all documented females in the United States reproduce via parthenogenesis (the development of an egg without fertilization from a male), which shortens the overall length of the life cycle. Though these ticks will still need to feed off of three hosts in order to reach maturity, one in each of its life stages, in the span of a year, it can go from a newly lain egg to an adult capable of producing up to 2,000 eggs in less than a three week period. And since all of these ticks are capable of reproducing at this capacity, you can see how a population can quickly get out of control. What is the difference between Asian longhorn ticks and deer ticks? Most people would be hard-pressed to see a clear difference between the two ticks. Though deer ticks can have more distinguishing coloring than Asian longhorn ticks, they are very similar in size and the male ticks are often a plain brown, which can be similar to the longhorns. The two biggest differences are that the Asian longhorn ticks in the United States reproduce exclusively via parthenogenesis, as opposed to deer ticks which mate via sexual reproduction, and that, as far as we know, they are carriers of different diseases; see the next section for more on this. Are Asian longhorn ticks dangerous? The short answer is yes, Asian longhorn ticks are dangerous. But the way in which they are dangerous and who they are dangerous to makes this a bit of a more complicated question. Where this tick is native, East Asia, it is known to carry several viruses and bacteria that can be harmful to humans and cause potentially severe illnesses, such as SFTS, human granulocytic anaplasmosis, and Japanese spotted fever. 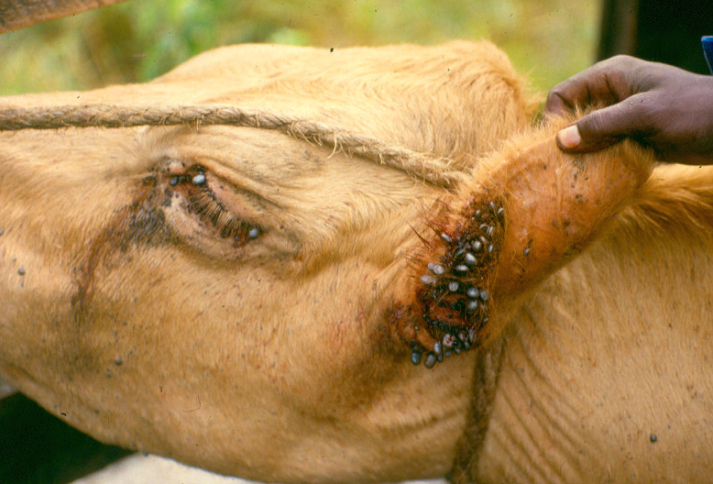 Fortunately, in the United States there haven’t yet been any reported cases of human bites by the Asian longhorn ticks, but this doesn’t mean that we are in the clear. Since they are still very new to the U.S., researchers haven’t yet determined what viruses and bacteria they can be host to on our shores, but there is concern they could carry a variety of pathogens that our native ticks carry and become another vector for their proliferation. Pathogens such as Lyme disease, Rocky Mountain spotted fever, Powassan disease, and other dangerous diseases which can have long-lasting effects from arthritis and inflammation of the brain to amputation and even death. Though they are not yet a documented threat to humans in the U.S, they are, however, a known danger to livestock and animals. In the U.S. these ticks have been seen on cattle, sheep, goats, horses, deer, opossums, raccoons, and dogs. Not only are these pests carriers of the pathogens that cause babesiosis (an infection which attacks red blood cells and can cause anemia and systemic shock and which is prone to relapse) in dogs and theileriosis (an infection of red and white blood cells which can cause anemia, jaundice and even death) in cattle, but they can also infest an animal to such an extent, due to their large populations, that they can cause anemia and death by exsanguination. Experts caution that though there is potential for concern with these new invaders, it’s important to remember that there is also an immediate concern from native ticks, whose regions and populations have been growing as winters have warmed. Lyme disease is a dangerous illness and it’s estimated that in parts of the United States 25% of deer ticks carry it, presenting a threat worthy of bearing in mind even as new species are drawing our attention. Whether we’re discussing Asian longhorn ticks, deer ticks, or any other tick, it’s important to take steps to prevent yourself and your animals from being bitten, especially in late Spring and early summer when the ticks are looking for blood meals to continue through their life cycle. 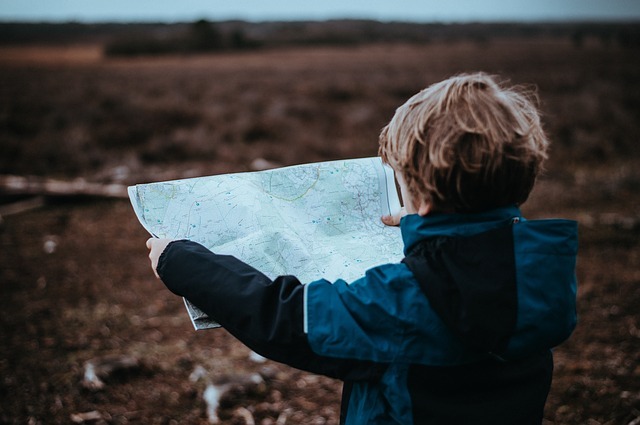 If you live in an area where you are concerned about a tick population in your yard, especially if there are wooded or grassy areas nearby, the best thing to do is call a pest control professional to have your yard treated with products specifically designed to eliminate ticks. 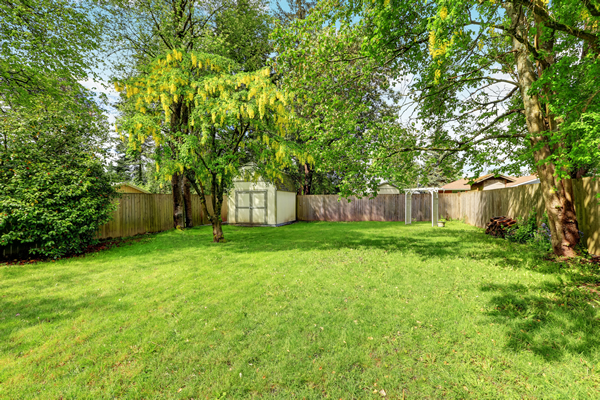 In addition to professional treatment, maintain a a low grass height, keep your yard weed-free, reduce or remove brush areas, and eliminate any wood debris. If you will be visiting a potential tick harborage area that has not been professionally treated, it’s best to heed the basic rules of tick prevention: wear long sleeves and pants, apply insect repellent that contains DEET (on people only; DEET can be harmful to pets), keep your pets up-to-date on preventative tick treatments, and completely check yourself and your pets for ticks as soon as you are able. For more on prevention and symptoms check out the CDC page on ticks. 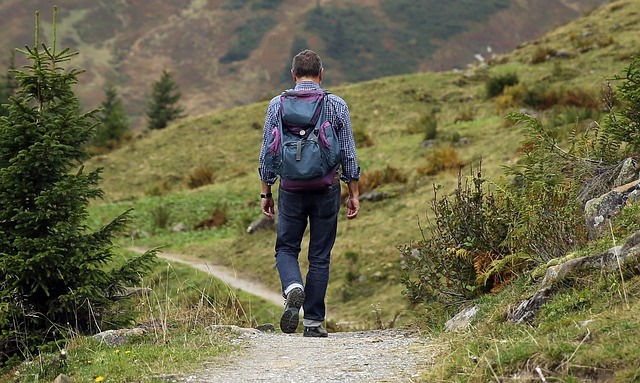 This summer as we head into fall, be sure to practice good tick safety whenever adventuring outdoors. And keep an eye out for the new tick on everyone’s radar lest this longhorn begin to infest our beloved longhorns. Almost 250 years ago, on July 4th, the United States adopted the Declaration of Independence and set our country on its path for freedom. Since that time we have honored the historic day by gathering together and celebrating our community and our nation. And what better place to celebrate than outdoors, basking in the natural beauty, and enjoying all the joys our homes have to offer. So we head to our yards to play, swim, grill, and enjoy the holiday before the big show of fireworks lights up the night sky. But while fireworks are an exciting addition to the festivities, there is another “fire” that can be lurking in your yard, capable of turning a beautiful day into a week of pain, itching, and general irritation; yes, we’re talking about fire ants. If you live in Texas there is a good chance you’ve seen these pests building their nests in lawns of all shapes and sizes, and almost an equally good chance that you’ve been on the wrong side of a fire ant encounter, having been stung and forced to deal with the pain and discomfort that follows. So before you deck out your lawn with flags and all things red, white, and blue for this year’s Independence Day Celebration, make sure you’ve declared your freedom from the misery and stress of fire ants. Before you can wage war with the ants in your yard, you will want to know a bit more about them. Here are some of the things you will need to know in order to identify and eliminate this pest. 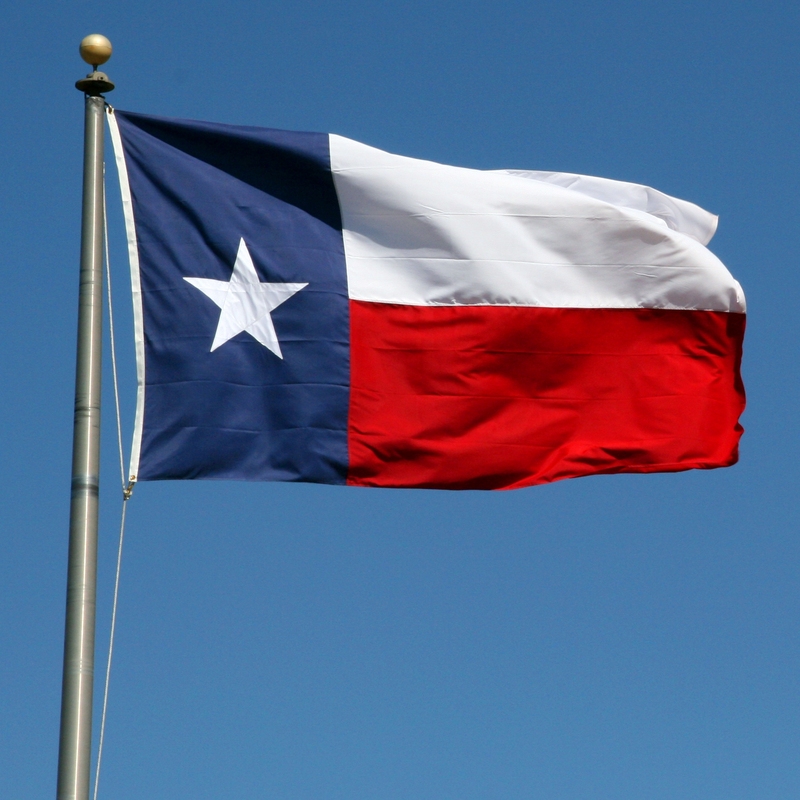 In Texas, the fire ant variety you are likely to encounter are red imported fire ants. They are an average-sized ant, with worker ants ranging from 1/16” to 1/4” in length and are red and black in color, generally with a red head and thorax and a darker abdomen. These worker ants are the ones you will find foraging in your yard and crawling all over you if you happen to step on one of their nests; however, in the spring and summer you may also encounter fire ants with wings, also known as fire ant swarmers. Male and female swarmers will leave the nest when the weather is warm, often a day or two after a rainfall, mate, and then the females will shed their wings and begin constructing a new nest just about 1” to 2” under the soil surface wherein they will become the queen. The male ant swarmers, which are all black, will die after mating and are generally the ones you might see at your home’s entryways. Fire ants live in colonies that can number up to 500,000 ants and tend to make their nests in open sunny areas. They are particularly fond of warmer weather and in the United States are predominantly seen in the south-central and southeastern states. Their nests are large dome-shaped mounds of soft soil that are generally no larger than 18” in diameter and show no distinct opening through which the fire ants enter. Due to their construction and choice of materials, fire ant mounds can sometimes be tricky to identify, especially if the mound is smaller or in an area without much grass. Keep an eye out for the distinctive mound shape and any areas of soil that have been disturbed, and give them a wide berth. 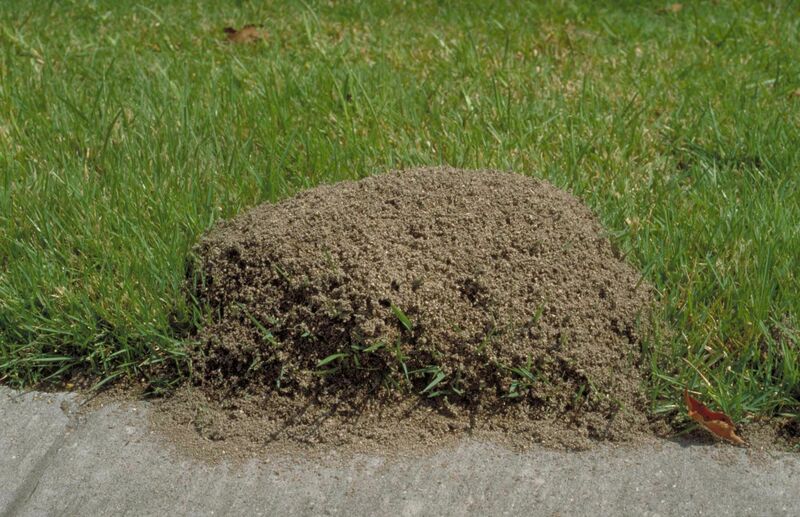 Regardless of its ability to blend, the mound is the most important warning sign to watch out for when inspecting an area for these pests, and is also the most important thing to avoid if you want to keep your summer sting-free. Can You Have a Fire Ant Mound Inside? Though fire ants prefer open areas like yards, they are also known to create nests under concrete slabs and within walls, being especially drawn to electrical currents. In fact, they have even been known to cause electrical fires and extensive electrical wiring damage due to chewing on the wiring they have created a nest around. This move indoors is especially common during the warmest months as they look for a cooler place to forage than in the midday Texas sun. So if you notice a mound of dirt against your A/C Unit be sure to call an exterminator ASAP before you end up with an even hotter Texas summer than you bargained for. Beyond the danger fire ants present to your home, they can be a direct threat to people and pets as well. These ants are known for being exceptionally aggressive and will respond rapidly to any perceived threat to their nest or food sources. Individual ants will sting just as readily as a mass of ants, meaning that whether you have stepped on their nest or simply sat in the grass where an ant is foraging, you stand the risk of an attack. Though many people refer to it as a fire ant bite, the reality is that the source of the well-known pain and irritation is from a sting. When these ants decide to attack, they grasp your skin with their mandibles (jaws) and repeatedly stab into your skin with their stinger, injecting its venom. If they attack en masse, such as when someone disrupts their nest, you can find yourself quickly covered with these stings. Though most people will find that fire ant bites are just extremely unpleasant, they can pose a real health risk, especially when susceptible people are repeatedly stung. So who’s most susceptible? Small children, the elderly, those with suppressed immune systems, and anyone with a severe allergy to fire ant venom run the risk of a fatal reaction to fire ant stings. 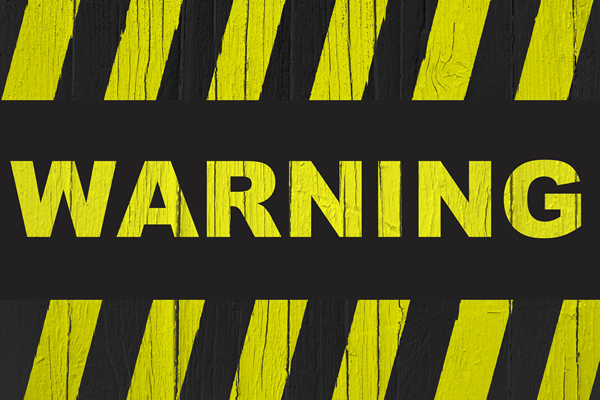 Also at risk are pets, especially young ones or those that are confined to a small section of the yard where they cannot escape a fire ant attack. What Does A Fire Ant “Bite” Look Like? 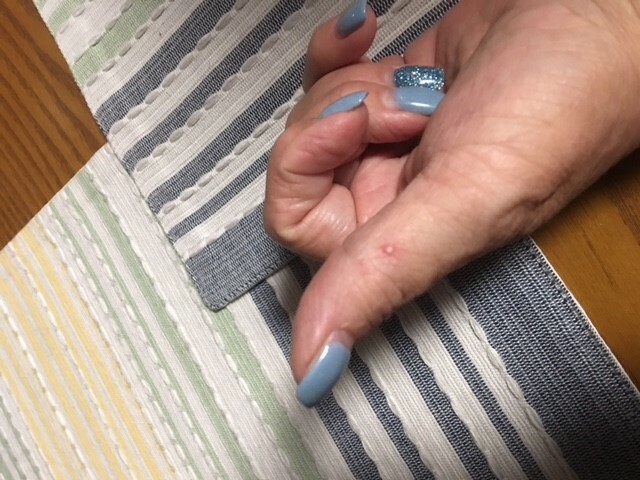 Initially the sting will be swollen and red, turning into a small blister-like pustule in about a day or two. The sting site will hurt, especially initially, and itch, and the irritation can last up to a week. So How Do You Kill Fire Ants? The best way to eliminate fire ants from your home or yard is to call in a professional to treat using products specifically labeled for these pests. 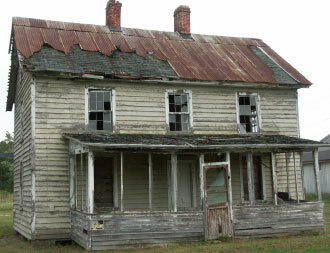 Generally, that will entail placing a bait in the yard and treating the individual mounds with either a liquid or a dust. 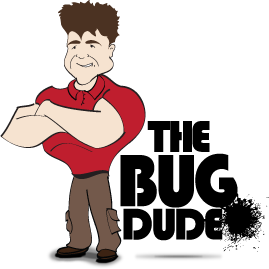 By calling in a certified pest control technician not only do you get someone to search out the fire ant nests for you and treat in the most effective and safe manner, but you also don’t have to run the risk of being stung by the ants while applying treatment. WARNING: Never attempt to get rid of a fire ant mound using gasoline or any sort of combustion. Not only is this extremely dangerous, it’s highly ineffective and can lead to the colony moving or spreading out to new and additional locations. What Can You Do to Prevent Fire Ants? 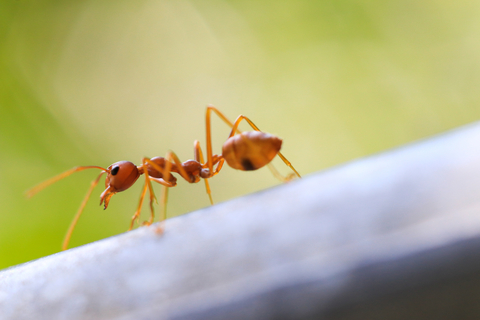 Unfortunately there is no guaranteed way to prevent fire ants from invading your yard, but here are a few tips that will help make it a less enticing location for these pests to call home. 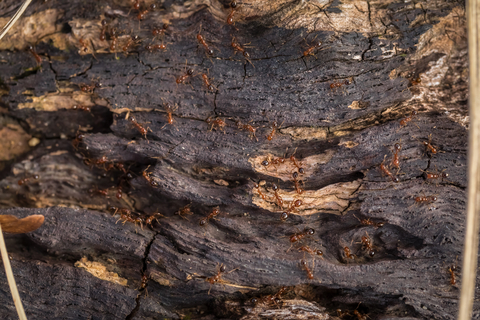 When it comes to fire ants it’s always better to treat at the first signs of trouble, before they take over your yard completely or find their way into your home. 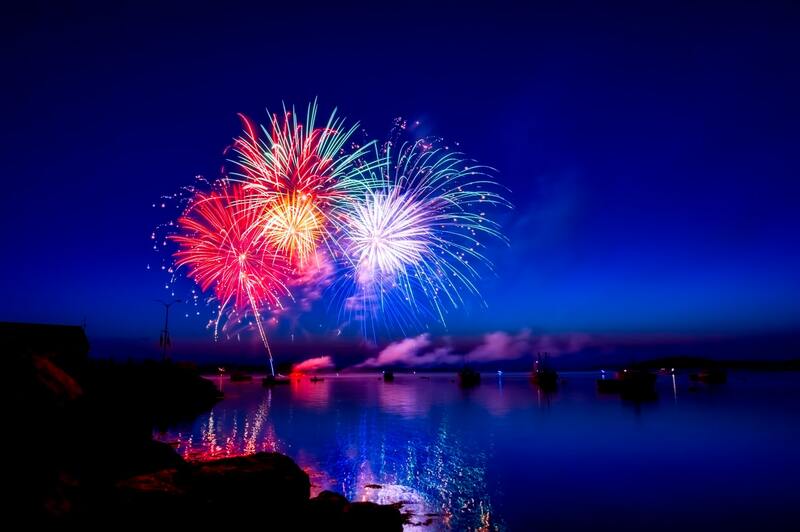 So this July declare your independence from the pain, irritation, and fear of fire ants and call a pest control technician to eliminate these pests and allow you to enjoy your pre-fireworks festivities in peace. Summer days in Texas are full of magic. The sunrise and sunset seem to last for hours and paint the most magnificent hues across the horizon. Skies are expansive and picturesque, clad in brilliant blue and dotted with incandescent white clouds that seem to hang just above your head. The days ring out with call to explore and play, a call tempered only by the heat, which has begun its steady march, and which will drive family and friends to spend their days in pools, lakes, rivers, and anywhere that offers the cooling relief of shade. But while these are exactly the places to enjoy a Texas summer, they come along with an all-too-familiar pest, mosquitoes. Mosquitoes are probably one of the most loathed summer pests, bringing with them irritation, itching, and the most disconcerting, a potential for disease transmission. They are definitely not something you want flying around your Father’s Day BBQ. 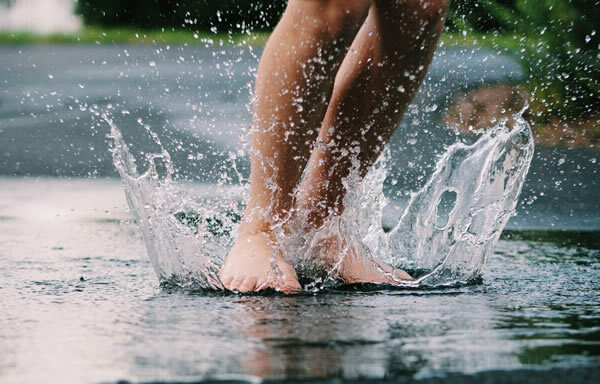 Yet a gathering of friends and family in your yard or at a park, especially if there is any standing water or well-shaded areas, is exactly where you will encounter these pests. So before you plan the celebration of all things “Dad,” make sure your day won’t be cut short by these winged scourges. It’s pretty well known that mosquitoes breed in areas of standing water, but that isn’t the only place you will encounter these pests. Adult mosquitoes will often rest in tall grass, weeds, shrubs and brush, especially in shaded areas, during the hottest parts of the day. This means that the average neighborhood will have plenty of places for mosquitoes to build a population. So what are some of the areas of standing water you will find in your yard? In order to fully answer this question, there are two main few factors to consider. First, there are 176 species of mosquitoes in the United States, 85 of which have been identified in Texas (according to Texas A&M AgriLife Extension), and they don’t all have the same behavioral patterns. This means that although we generally associate mosquitoes with the evening and nighttime hours, they are active all day long. Second, mosquitoes are active only when the weather is right. If temperatures drop and stay below 50°F, they will either hibernate or die off for the season. Once temperatures warm to a consistent 50°F, they become active, with temperatures of 80°F or higher bringing about the most prolific activity. As you can imagine, this means that Texas has a long, robust mosquito season. 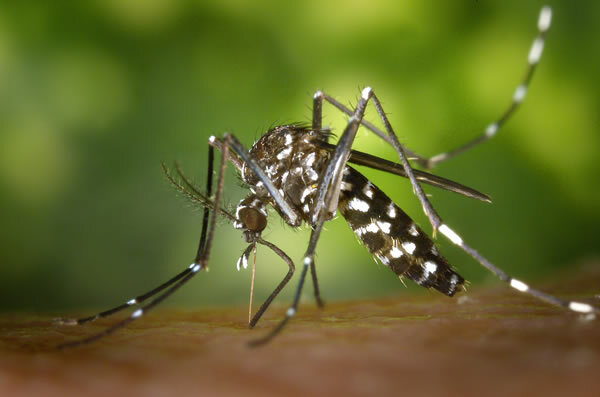 We all know that being bitten by mosquitoes is unpleasant and invariably results in the telltale itchy welts, which can ruin an evening, but there is also a real risk associated with some mosquito bites. Though most mosquitoes are simply annoyances, some species can spread diseases that not only make you sick, but, in rare cases, can cause death. The transmissible diseases to watch out for in the continental United States are: West Nile virus, La Crosse encephalitis, St. Louis encephalitis, and Zika (though Zika is extremely rare in the continental U.S.). In addition, mosquito bites have the potential to cause a severe allergic reaction. The welts we all have after a bite are due to our bodies’ natural allergic reaction to the saliva deposited by the female mosquito when she bites us and draws our blood. 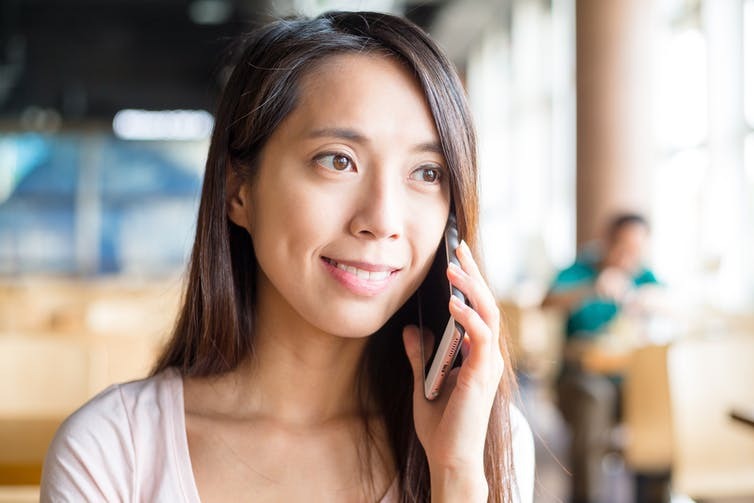 The saliva is an anticoagulant, which allows her faster access to her food source, but which also causes our bodies to react and release histamines. For some people, the allergic reaction can cause symptoms beyond the standard welts and itching, and in rare cases, can lead to anaphylaxis. Are Mosquitoes Dangerous for Pets? Not only can mosquito bites be quite dangerous for us, they also have the potential to transmit harmful diseases to our pets. Though the reaction to a mosquito bite in dogs, for example, is often pretty mild, with symptoms similar to those in humans, there is the potential for the transmission of serious diseases such as: Heartworm, West Nile virus, Eastern Equine Encephalitis, and Systemic Lupus Erythematosus. However, it is important to note that as dangerous as a mosquito bite can be, do not attempt to use an insect repellent on your pets unless it is specifically designed and approved for use on animals. Sprays designed for humans, especially those containing DEET, can be toxic for your pets. How Do You Get Rid of Mosquitoes? 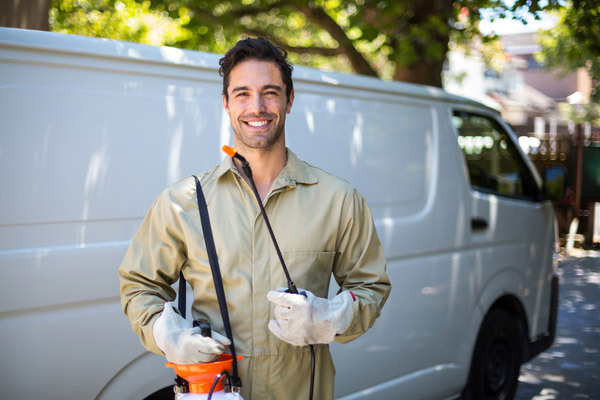 When it comes to getting rid of mosquitoes there are two main avenues to pursue, and both are needed to keep your Father’s Day and summer celebrations safe and pest free. 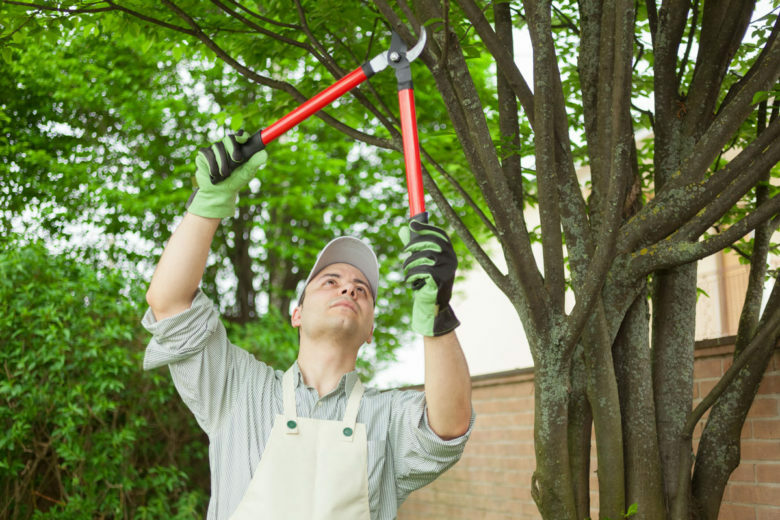 First, have a pest control technician treat your yard for mosquitoes. A technician will evaluate the yard for potential hot spots of activity and will treat the yard accordingly. Generally, a liquid spray/mist is used so as to coat all the areas mosquitoes will come in contact with, offering a high degree of pest control. 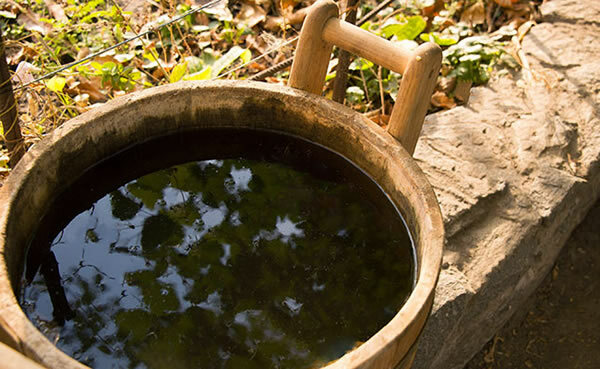 In addition, where applicable, briquettes may be used in certain standing water areas to help control breeding grounds. Second, take preventative measures, as discussed below, to help keep your yard from being a mosquito haven. No matter how much pesticide you use, if your yard is a significant harborage area, you won’t be able to fully escape the buzz and bite of these pests. Only with the combination of treatment and prevention can you keep your yard a no fly zone for mosquitoes. 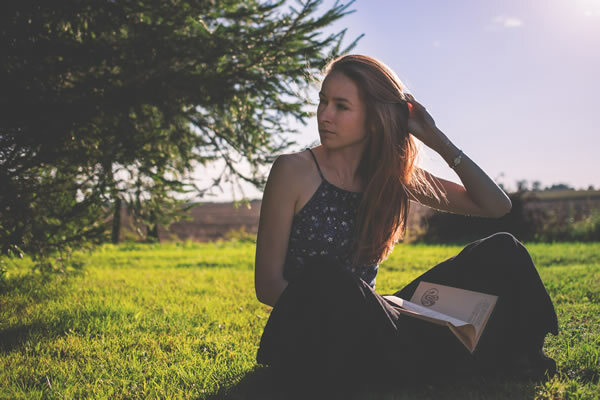 Unfortunately, there is no full-proof way to fully escape getting any mosquito bites this summer as you adventure outdoors, but here are some tips to help keep your time at home and in your yard as bite-free as possible. This year don’t let mosquitoes ruin your outdoor fun; take action now and let this summer be pest and worry free. Plus, what better gift for dad than knowing that his yard will be safe for family fun and all day BBQs all summer long? 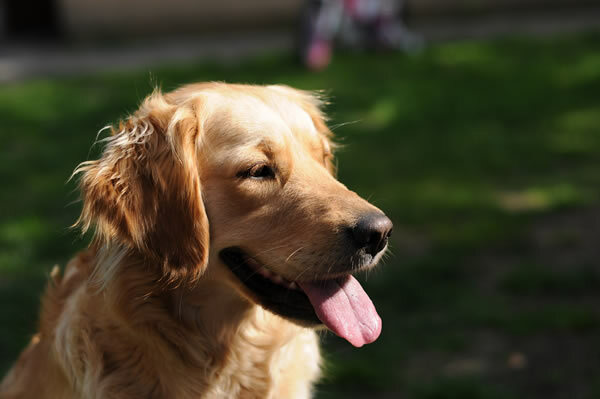 “Mosquito Bites in Dogs” – Wag!